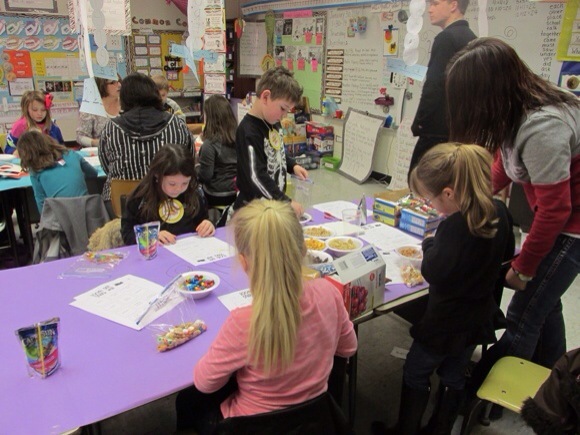 Mrs. Stephanie Lewis’ First Grade students and parents Celebrate the 100th Day of school together! 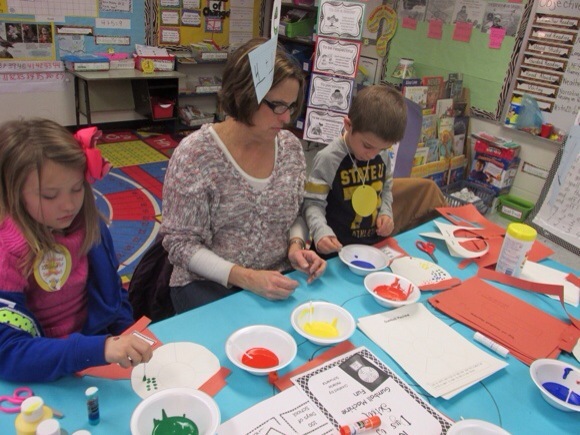 We had a “ball” on the 100th Day of school! 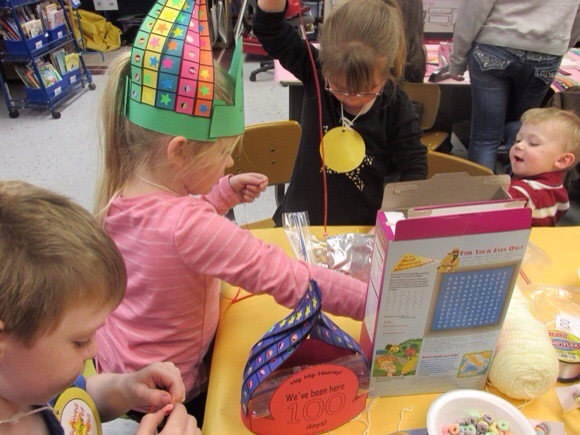 We made gumball machine using paint and q-tips for the 100 gumballs, we made 100 day hats using colorful ten rods and stickers, we made necklaces made of fruit loops, and of course we made our 100 day snack mix! 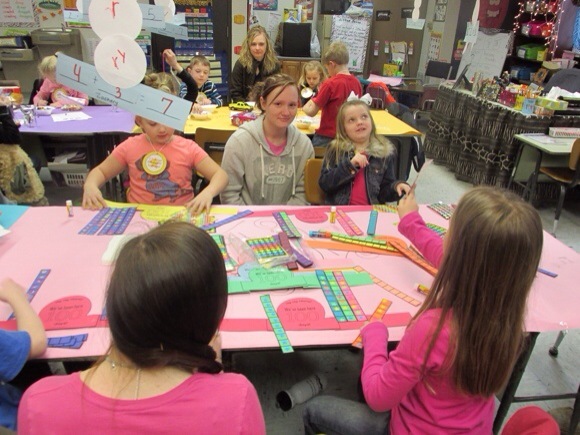 The students were also surprised has they entered their classroom through a big 100th Day banner and streamers to start their day off! The best part of all was the parents getting to experience this day with their children! I want to thank all my parents and even some older siblings for joining us for this special celebration and for all their help. 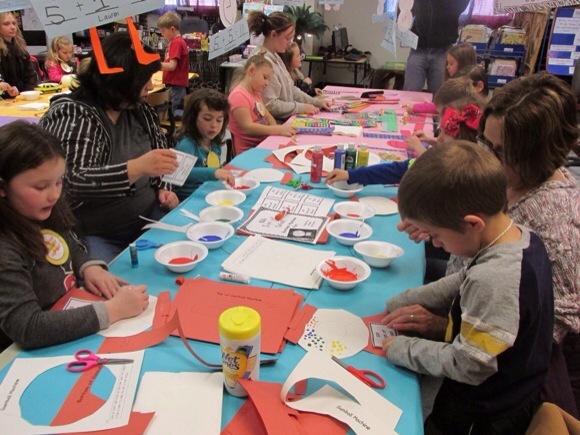 Everyone had so much making crafts, eating, laughing and just having a great time together!